Niccol Machiavelli (1469 - 1527) was a diplomat in Italy's Florentine Republic during the Medici family's exile. When the Medici family returned to power in 1512, Machiavelli was dismissed, jailed, and tortured. While in jail, he wrote The Prince, a manual for rulers on the use of cunning and cruel tactics to maintain power. While many translations are antiquated -literal, in many cases- ours is fresh and in contemporary American English. Besides fidelity to the original, we have paid close attention to the author's figures of speech, since Machiavelli was a professor of rhetoric. Although he never completed a degree in the law, his readings and grasp of the law were extensive and abundant, so that he was employed in government positions usually reserved for lawyers. 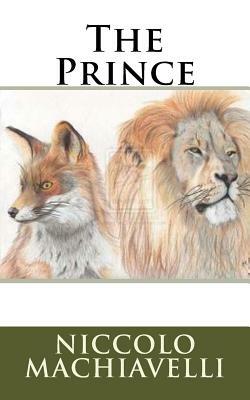 About The Prince The main theme of this brief book is about exercising will power rather than depending on fate. The instructions he discussed border on cynicism, cunning, and deception-which in essence means: the end justifies the means. His most powerful image for the ruling prince is that of the lion and the fox. The book is replete with allusions of leadership examples such as Moses, Cyrus, and Theseus. In recognition of Machiavelli's original work in human relations shown in The Prince as well as other political writings, he is often noted as the "father of modern political theory." In addition to The Prince, Machiavelli wrote the treatise On the Art of War (1521), among others, and several poems and plays, including 1524's satirical The Mandrake, and Discourses of Titus Livy.